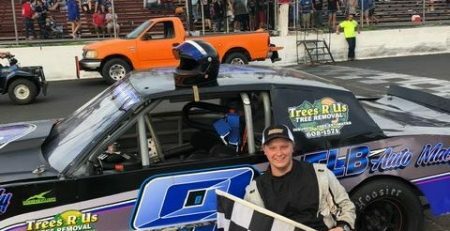 WARERFORD — Joey Ternullo of Middletown is a busy 20-year-old who attends two institutions of higher learning —not only is he a junior at Central Connecticut State University in New Britain, but he also attends another prestigious school — SK Modified University at New London Waterford Speedbowl. “The rookie season was filled with a lot of ups and downs,” Ternullo said, “but we gained a lot of experience out there. I think we ran nine races and in those nine races I learned a lot. I developed a good feel for the car and I learned how to work on it a bit. Ternullo’s first season at Waterford was in 2009 in the Bandolero division. 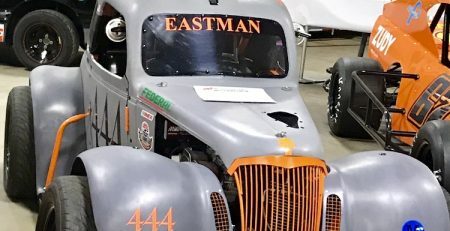 He advanced into the Legends division and captured a track championship in 2013. 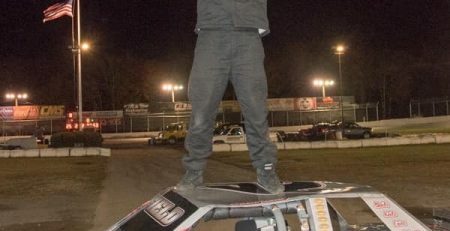 Ternullo has racked up 29 victories at the Speedbowl tying him for 40th on the all-time win list with Brad Voglesong, Brian McCarthy, Ed Gerstch Jr., Mike Daignault, Moe Gherzi, Rick Donnelly and Timmy Jordan. He also picked up a nickname along the way, Joey Walnuts. 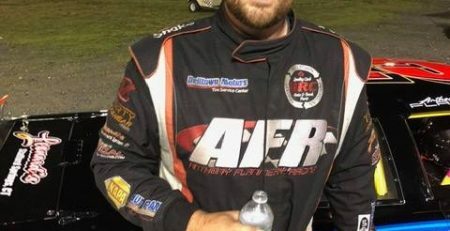 He thinks the past experience can only help him when it comes to the Modifieds. It’s an animal, however, he is looking forward to taming. 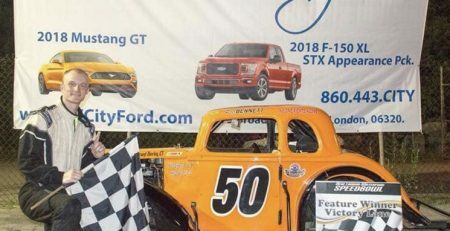 His sponsors include Laticrete, which has been sponsoring Ternullo’s racing efforts for 10 seasons. “What we have accomplished together has been remarkable,” Ternullo said. Ternullo, however, said getting to the front is up to him. “We know where we are now, and I think every week we get better,” Ternullo said. “That was proven last season. That’s where Ternullo wants to spend a good chunk of 2019. 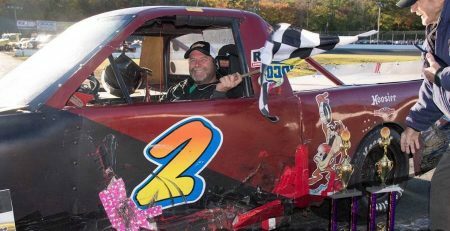 “Hopefully we can get Joey Walnuts back to victory lane,” Ternullo said. At Central Connecticut, Ternullo is looking for a grade of A. 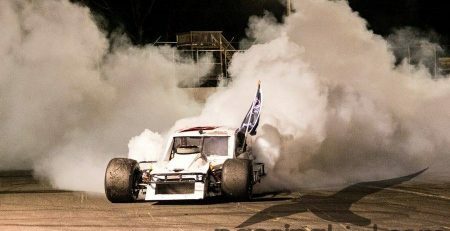 At SK Modified University, however, he is looking for a grade of V — for victory.